For those of you not familiar with the organization, Rags to Riches is “a for-profit social enterprise based in Manila, Philippines, creating eco-ethical fashion and home accessories out of up cycled scrap cloth, organic materials and indigenous fabrics by working with women living in the poor communities around Metro Manila.” For years now, they’ve been collaborating with some of our country’s biggest names in the fashion industry like Rajo Laurel and Amina Aranaz. This year, RIIR (Rags to Riches) has chosen to partner with internationally-acclaimed Filipino couture designer, Oliver Tolentino. 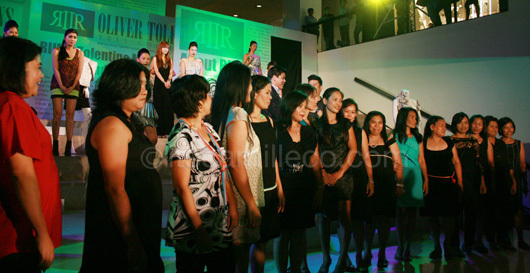 His collection, named “Makulay” which means colorful in English, was unveiled last May 17 at Greenbelt 5. I was lucky enough to be one of the SoFA alumni to be invited to participate in the show. 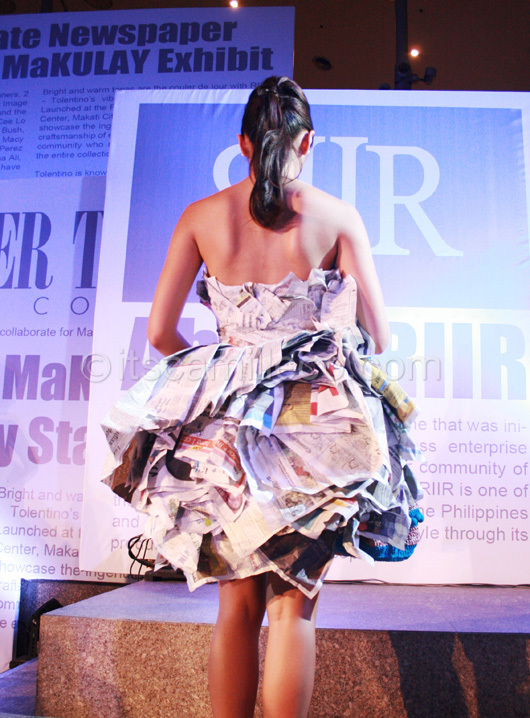 Each of us was asked to make clothes out of newspapers to further enhance the presentation of Oliver’s collection. The concept behind it was the idea that despite living in a grey world, we still overcome obstacles, whether big or small, like the Nanays (which means mommies, referring to the women of Payatas) who tirelessly create vibrant and colorful bags for RIIR. The models in our newspaper dresses. One of the 2 dresses I was able to cram for the event. Back view of my first dress. Because we were supposed to represent the “greys” of this world, I made sure to retain the newspapers’ natural state and color. I also refrained from using other materials. My 2nd dress for the event. 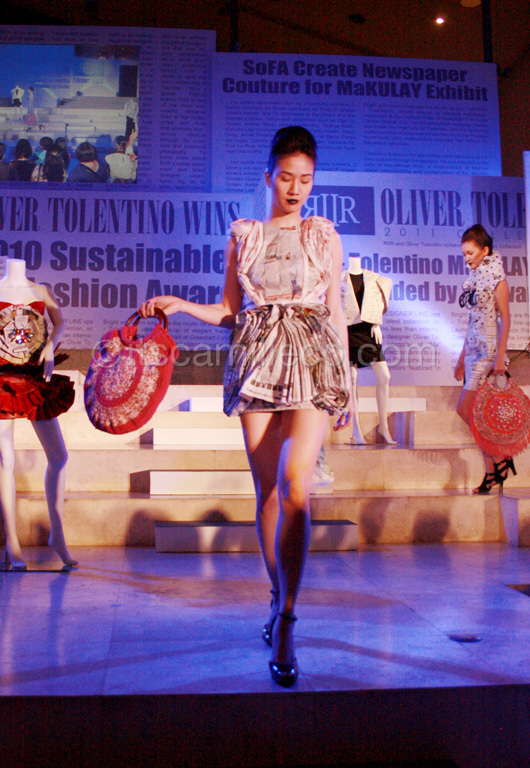 One of Oliver Tolentino’s bags. 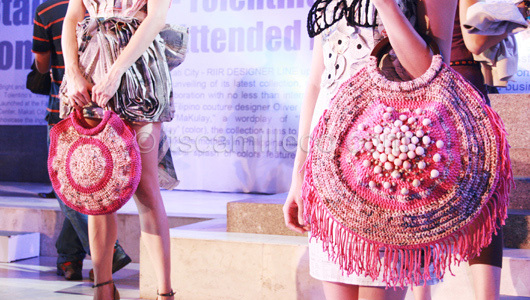 Some more of Oliver Tolentino’s bags from his “Makulay” collection for RIIR. The true stars of the show: the Nanays of RIIR. It’s so great that RIIR and Oliver Tolentino chose to recognize the people behind these wonderful creations. Without them, there’s no RIIR. After the show, my sister and I decided to go to Apartment 1B for a quick bite. 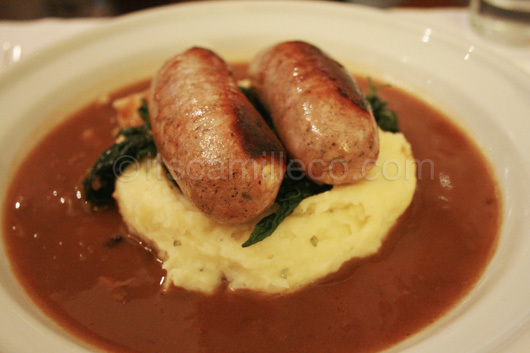 I know I’m supposed to talk about fashion (since I am a fashion blogger), but if you follow me on Twitter, you might have noticed how I looooooove good food. Please let me share them with you! I love foie gras! 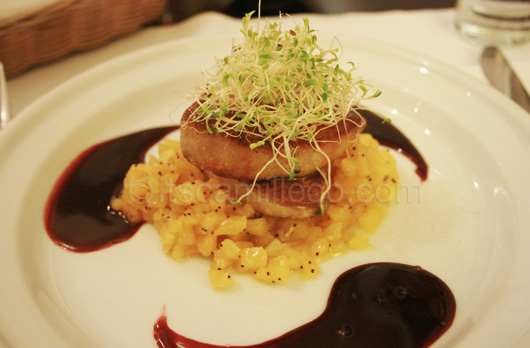 Pan-seared goose liver with pineapple compote and raspberry-merlot sauce. Yummmm! My favorite part of every meal? Desserts! Try another one of my absolute faves, their frozen pie. 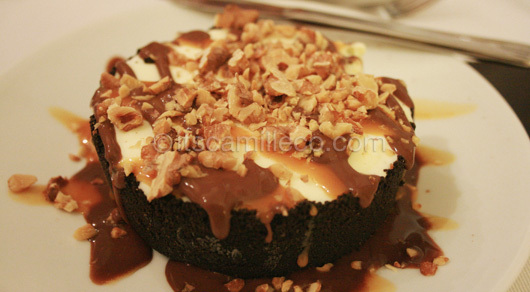 It’s basically vanilla ice cream with orea crust, chocolate and caramel sauce. I tell you it’s the best!!! 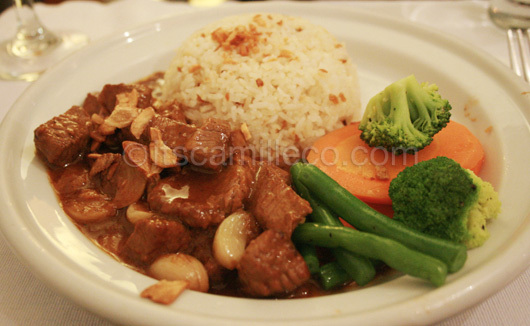 Apartment 1B is located at One Lafayette Square, 132Â L.P. Leviste Corner Sedeno St., Salcedo Village, Makati City. You can reach them at (+632) 843-4075.